Chupi & Bobo Co. was created exclusively to raise funds to help abandoned or abused animals. You can help stop animal abuse by contributing to entities such as the ASPCA that help these helpless animals. The owner of Chupi & Bobo Co. has dedicated her life to rescuing abandoned or abused animals, but she cannot do it alone. She saw an opportunity, through her business, to really make a bigger impact and help many more animals in need. For every Chupi & Bobo Co. candle sold, $2 will be donated to the ASPCA or Humane Society Shelters in need. Thank you for making a difference and we hope you enjoy your candle! 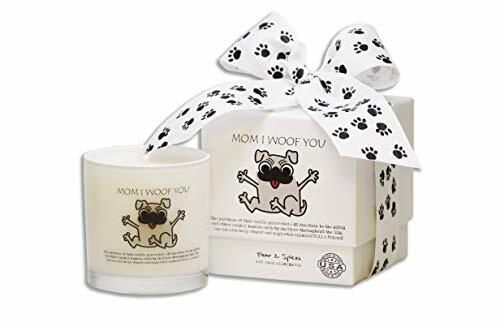  Candle with a Cause - For each candle sold, a $2 Donation is made to ASPCA and/or other Animal Humane Society Shelters throughtout the USA.  Highly Scent Soy Candles - 100% Cruelty free!  Makes a great gift - Beauitful Gift Box Packaging with Paw Print Ribbon.  Tell a Friend - Help raise awareness, together we can help fight animal abuse!  Made in the USA! If you have any questions about this product by Chupi Bobo Co., contact us by completing and submitting the form below. If you are looking for a specif part number, please include it with your message.